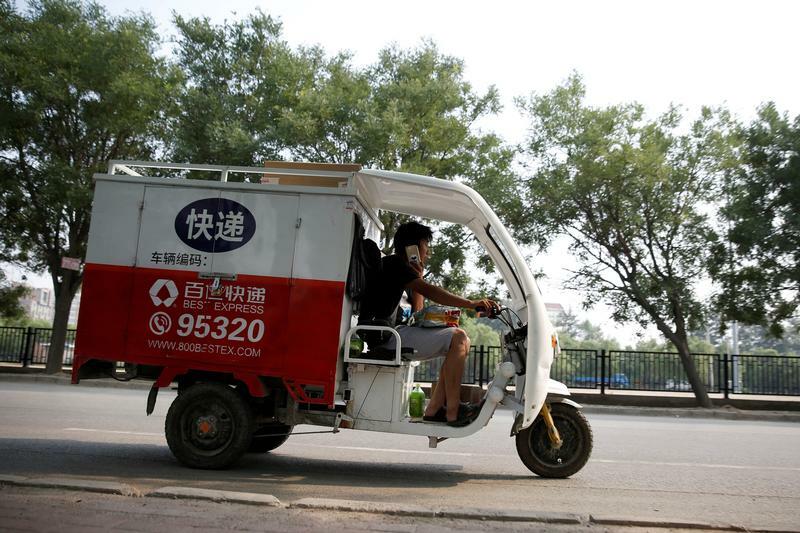 The Alibaba-backed group wants to list at a market value of $5 billion-plus. Best is growing fast and pushing into new businesses, but its core delivery operation still faces rising costs and fierce competition. A big premium to U.S.-listed rival ZTO is hard to justify. Chinese logistics company Best Inc plans to raise up to $932 million in an initial public offering on the New York Stock Exchange, according to an updated prospectus filed on Sept. 6. The company, which is backed by e-commerce group Alibaba, plans to sell 62.1 million new and existing shares at $13 to $15 each. At the top of the indicative price range, Best shares will be valued at 20.4 times forecast 2019 earnings, according to a term sheet seen by Reuters. The company plans to use $300 million to expand its convenience stores and its logistics and supply chain services, with another $100 million set aside for technology investments. The rest will be used for general corporate purposes and potential acquisitions. CITIC CLSA, Citigroup, Credit Suisse, Deutsche Bank, Goldman Sachs, JPMorgan, KeyBanc Capital Markets, Oppenheimer and Stifel are underwriters.